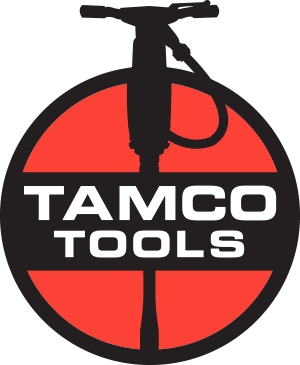 Tamco offers a complete line of hand tools, specialty bars, and handled tools for the light and heavy rail applictions. Please contact Industry Railway Suppliers at (630)766-5708 or at Industry-Railway Suppliers for a complete list of tools and availability. All Tamco Inc., railroad tools comply with the latest AREMA specifications. Please visit AREMA for complete details on tool specifications, materials, and manufacturing. You can also contact Davanac in Canada, the sister company to Industry Railway Suppliers at (514)421-0177. BT-11010 10 lbs. 1" x 1-3/8" N/A 10.00 lbs. BT-11500 N/A 3/4" x 1-3/8" N/A 5.50 lbs. BT-12000 N/A 3/4" x 1-3/8" N/A 5.50 lbs. BT-12100 N/A 3/4" x 1-3/8" N/A 5.50 lbs. BT-12200 N/A 3/4" x 1-3/8" N/A 5.50 lbs. BT-10503 3 lbs. 3/4" x 1-3/8" N/A 3.00 lbs. BT-12900 N/A 1" x 1-3/8" N/A 6.25 lbs. BT-11702 2 lbs. 1-1/2" 4-1/2" 3/4" x 1" N/A 2.00 lbs. BT-11703 3 lbs. 1-5/8" 5-1/4" N/A 3.00 lbs.